The annual “LabEx MAbImprove industrial workshops” are primarily intended to provide scientists involved in research on therapeutic antibodies, a comprehensive view about topics of interest for the pharmaceutical industry. 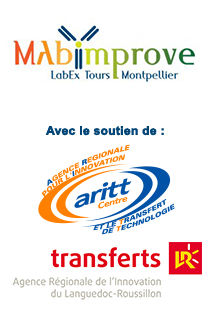 They are organised by the “LabEx MAbImprove industrial committee”, in partnership with ARITT, the regional agency for innovation and technology transfer which operates in the French Région Centre, the 1st French region for pharmaceutical production. The 2013 edition, the first of the series, is dedicated to antibody biosimilars. Depending on opinions, the impending expiry of antibody patents and the imminent marketing approval of competitors to blockbusters can be perceived as good or bad things. Fears or opportunities? Risks for patients? Breath of fresh air for the health systems? Opportunity for re-industrializing France? In this context, it is necessary to make a fair and informed opinion on the current landscape of antibody biosimilars. This is especially important for scientists from the academic world, from the industry or from the regulation agencies, for pharmacists, for drug and pharmacovigilance specialists, for health authorities, staff from health insurance and decision makers, etc. This is the goal of this high level scientific workshop, and its targeted audience, with 300 expected attendees. The topics and the speakers have been carefully selected; a report will be published in the international journal MAbs. We look forward to welcoming and hosting you in Tours in May 28th 2013, and sincerely hope that you will join us to make this endeavour a success.